Core industries are courier, parcel and postal services, airports, food processing industry as well as distribution centers and other industries. 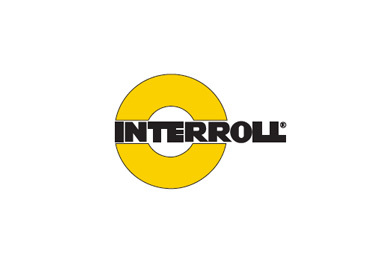 Interroll is engaged in global research projects for logistics efficiency and actively supports industry associations in developing standards. Low friction roller for gravity or non-driven application. 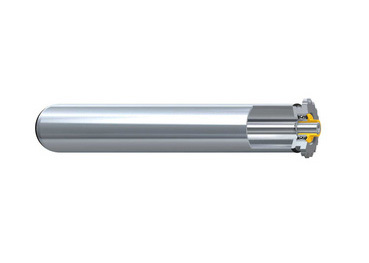 Low inertia due to low rolling resistance of roller. Excellent start up properties. Integral labyrinth seal for protection of bearing balls. 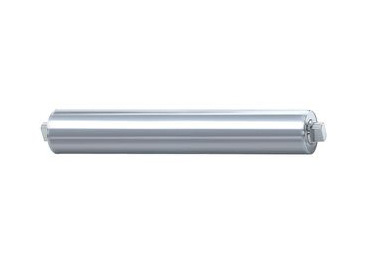 Stainless steel or PVC tube. 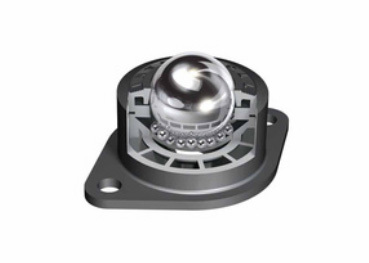 Ball bearing with stainless steel balls. 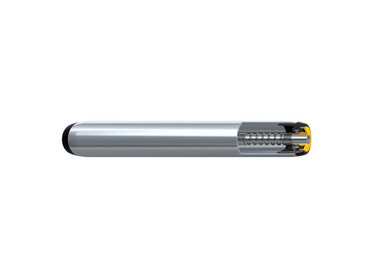 Swaged tube ends for easy 90° box transfer. 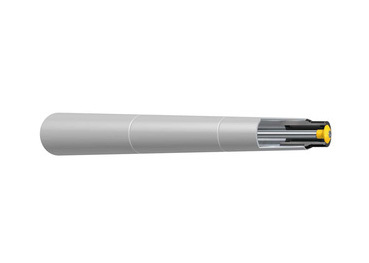 Form fit of bearing housings in PVC tubes prevents them from walking out. 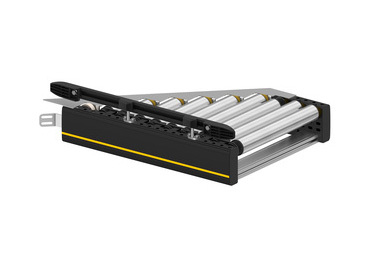 Universal conveyor roller for heavy loads, such as driven or non-driven pallet handling. 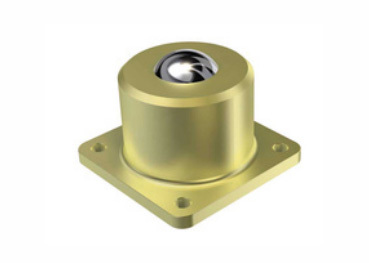 Low noise operation due to precision bearing, polymer housing and shield. 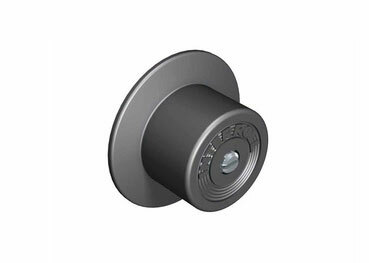 Integrated labyrinth seal for best bearing protection against dirt, water and dust. 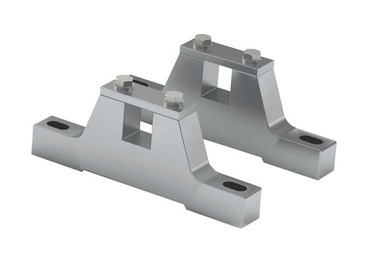 Heavy duty housing design to carry excessive axial loads. Swaged tube ends for easy 90° box transfer. 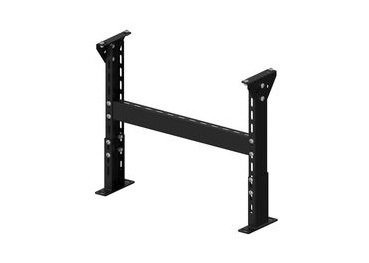 Flanges can be attached to roller to guide pallets or boxes. 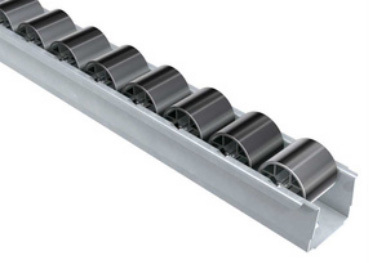 Conveyor Roller for driven applications which require small tube diameter and small roller pitch. 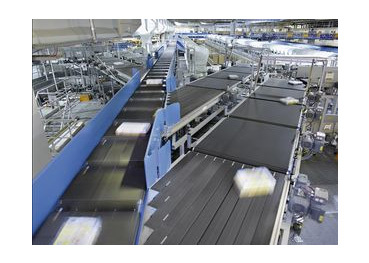 Typical applications: Packaging and paper industry. 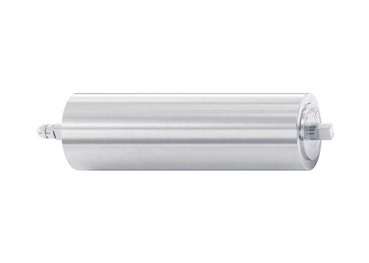 Swaged tube ends for easy 90° box transfer. Sealed precision bearing 689 2Z. Wide range of driven and non-driven application. 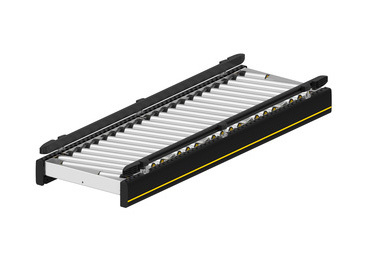 High speed roller conveyor. 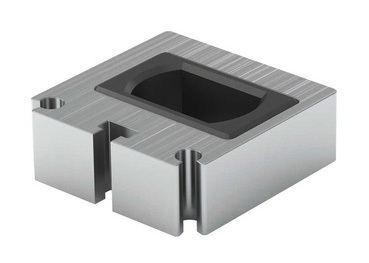 Low noise operation due to precision bearing, polymer housing and shield. 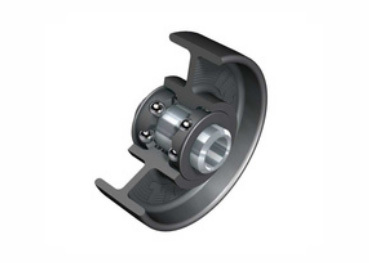 Integrated labyrinth seal for best bearing protection against dirt, water and dust. 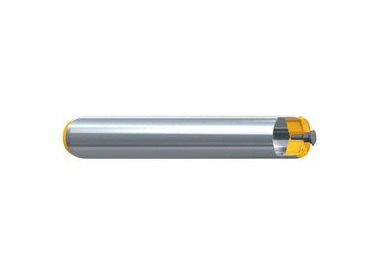 Swaged tube ends for easy 90° box transfer. 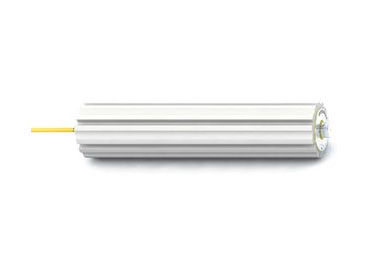 No build-up of electro static charge on roller because of integral static dissipative element. Roller Series 1700 with pressed on Polypropylene taper segments. 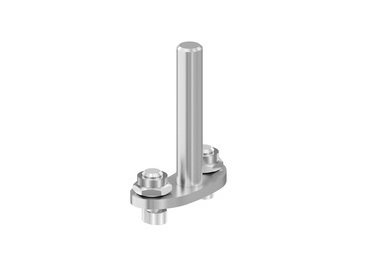 Taper segments secured against axial movement. 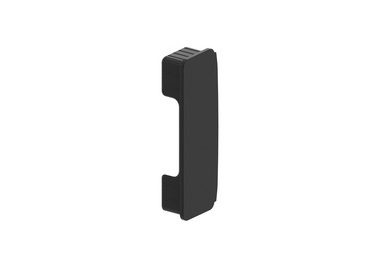 Larger end closed by cap. 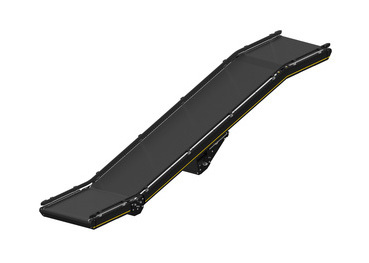 Conveyor roller for driven and non-driven curves. 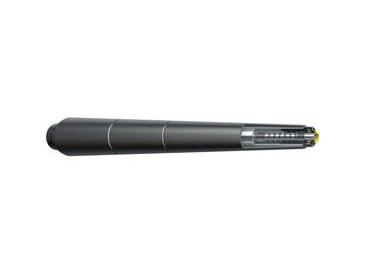 Impact resistant and abrasion-proven taper material. 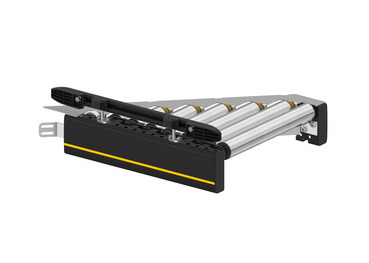 Conveyor roller for driven and non-driven curves. 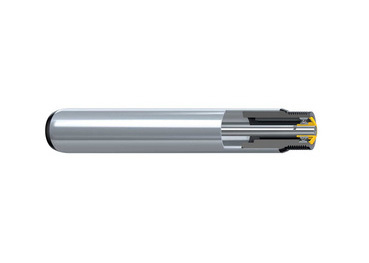 Integral O-ring grove for drive from roller to roller. 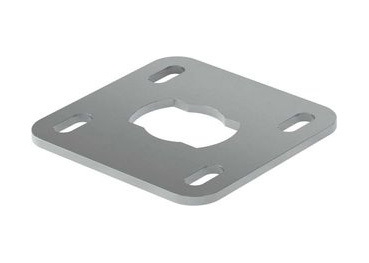 Small inner curve radius of 357.5 mm. Space-saving solution for curves. 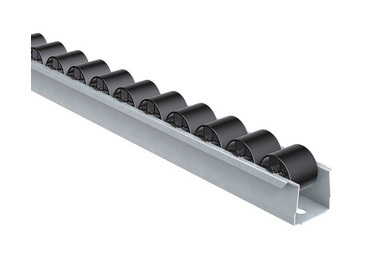 Roller for roller curves which require small roller pitch. 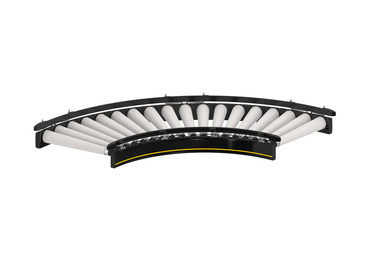 Roller Series 3500 with pressed on Polypropylene taper segments. Taper segments secured against axial movement. 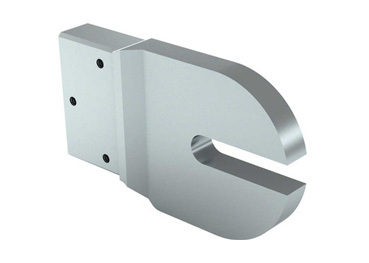 Larger end closed by cap. Roller for driven roller curves. 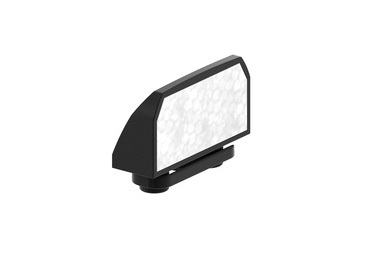 Impact resistant and abrasion-proven taper material. 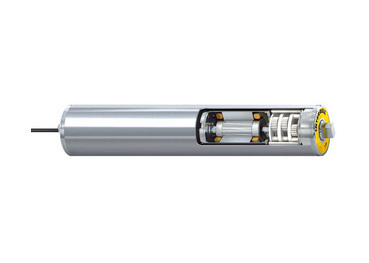 Available chain drives include PolyVee, PolyO (round belt with 2 grooves) or chain drive Z14 (on the wide side). 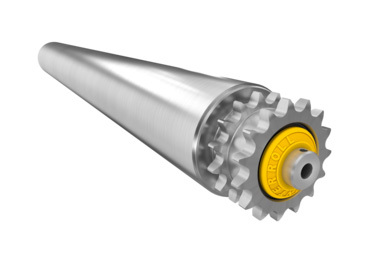 Drive sprocket is not fixed to roller, creating a friction clutch on one side of the roller. 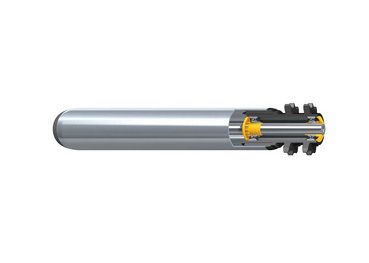 Torque of the drive is related to the load on roller. Series 3800 is used for applications which allow low to medium accumulation pressure. Series 3800 is based on Series 1700. Housing on non-driven side is identical to Series 1700. Available chain drives are ½ Z9 / Z11 / Z14. 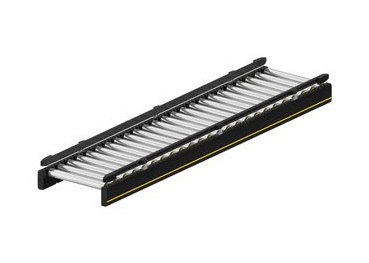 Medium duty double friction roller. 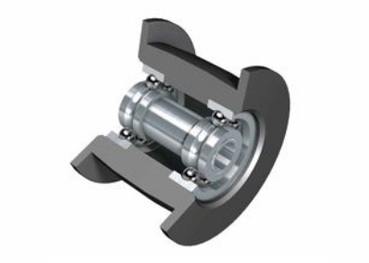 Inner roller creating two friction clutches on both sides of the roller. Increased tangential force compared to Series 3800. 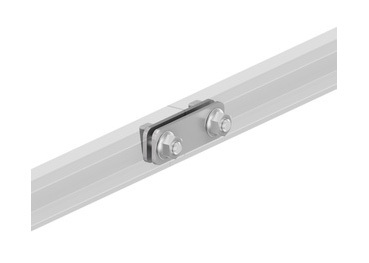 Available chain drive is ½ Z14 polymer. 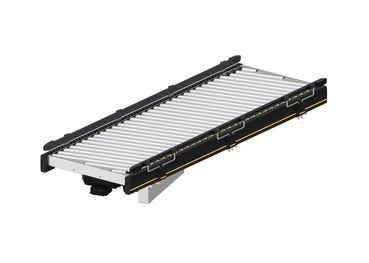 The RollerDrive EC310 is a drive component for unit handling conveyors. 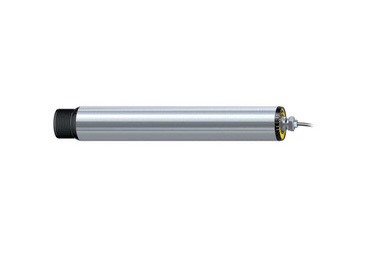 24 V DC brushless motor, integrated in a tube based on Roller Series 1700, delivers continuous power of 32 W and is an ideal solution for a wide range of conveyor applications. 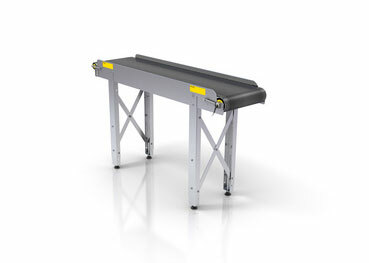 It is fitted with an electronic holding brake which allows it to be used on a gradient or incline conveyors. 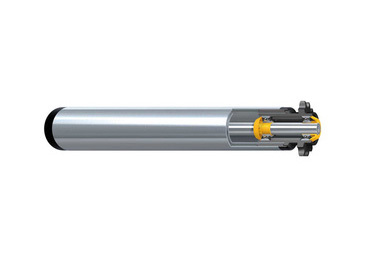 Due to recycling of the braking energy up to 30% of energy can be saved in the system. 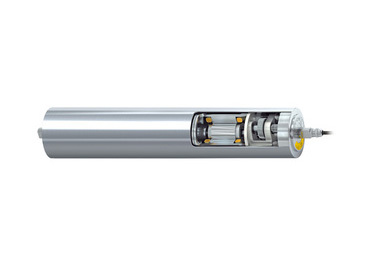 The energy efficient drive guarantees perfectly coordinated functions for your zero pressure accumulation conveyors in straights and curves. 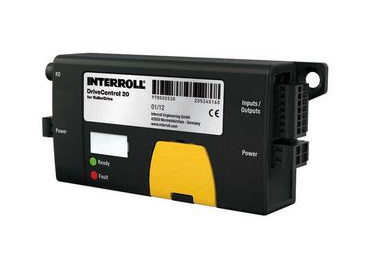 The control modules DriveControl 20 and DriveControl 54 are the universal interface for RollerDrive EC310. 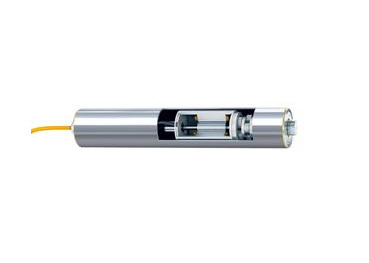 15 different speeds as well as the direction of rotation can be set using DIP switches. Optically decoupled digital I/O‘s act as the interface to a PLC. 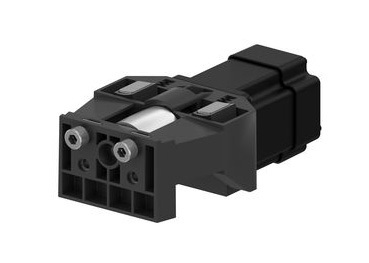 Two different housing designs with IP20 or IP54 enable wide range of applications. 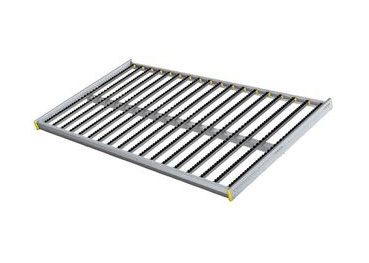 The ZoneControl controls the RollerDrive EC310 in every single zone and is used for zero pressure accumulation conveyors that require no advanced control. 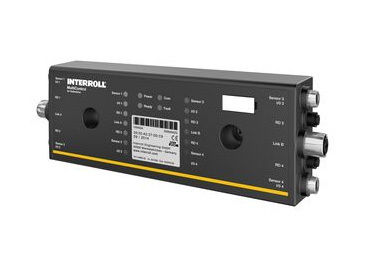 Additional functions and communication to upstream and downstream conveyors are provided via digital inputs and outputs (I/Os). 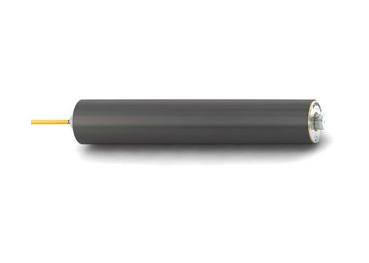 For communication between ZoneControls, a standard CAT-5 cable is used. 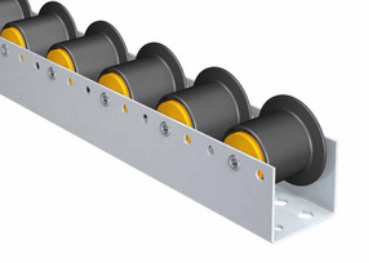 The configuration of the ZoneControl can simply be handled by DIP switches. Two versions of conveyor logic are available: individual or train release. 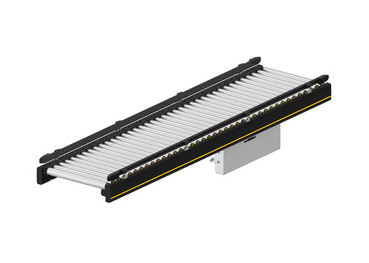 ConveyorControl is a versatile control system for RollerDrive EC310, particularly for use in conveyors with zero pressure accumulation. 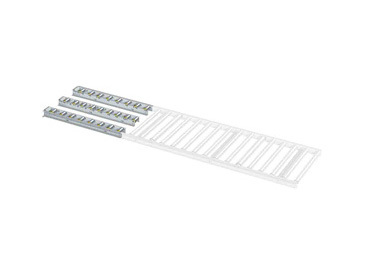 The flexible solution consists of four control modules with varying functions. A Windows-based software is used for addressing and parameterizing the modules. 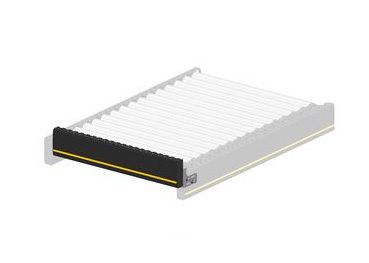 The connection to the voltage supply and communication of the modules is ensured with simple cabling using flat ribbon cables. 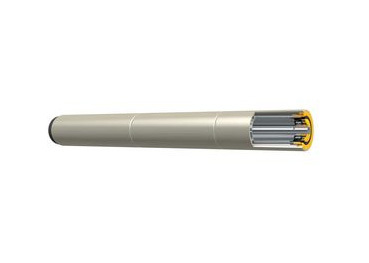 The cables, which are identical to AS-i cabling, are quickly and securely connected to the modules using piercing technology. 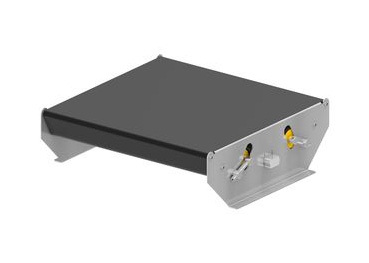 The design of all modules and other components of the system according to the degree of protection IP54 corresponds to the requirements of industrial systems. 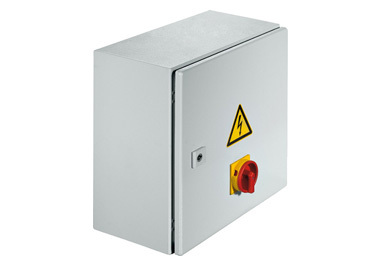 The four control modules include SegmentControl, ComControl, CentralControl and GatewayControl. The MultiControl is a certified network interface card for PROFINET, EtherNet/IP and EtherCAT to control RollerDrive EC310. 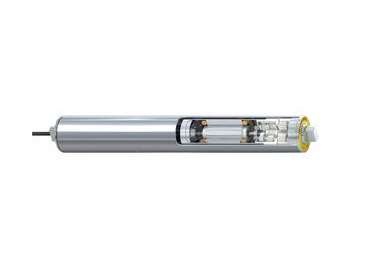 With a single MultiControl, it is easy to choose any one of these different field buses. 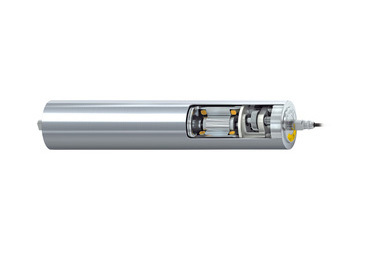 With help of the MultiControl, sensors and RollerDrive are directly integrated in to the field bus level. 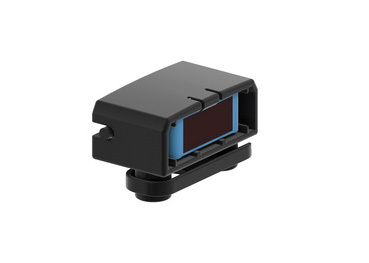 No additional sensor/actor level is necessary. 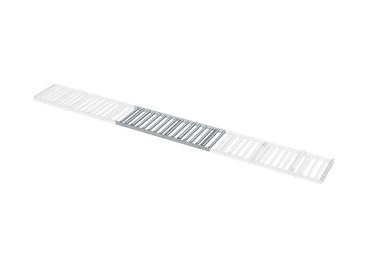 A standard ribbon cable is used for power wiring. 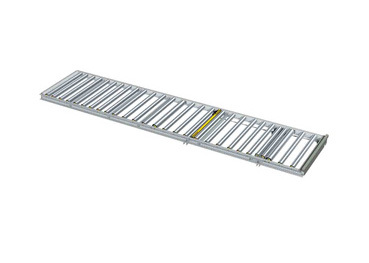 This offers enormous flexibility for stock management as well as for planning and installation of conveyors. 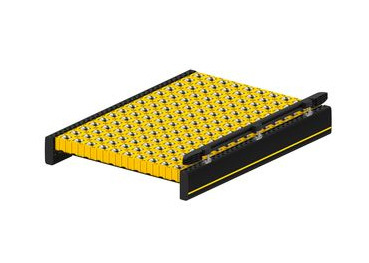 The omni wheel table with multi-directional wheels is particularly well suited for workstation and inspection areas and for materials with soft bottoms that can be moved in all directions with very little force. 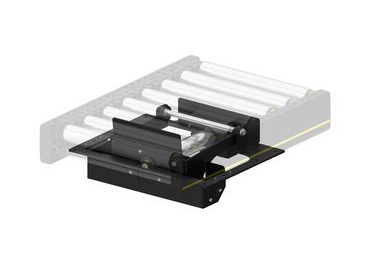 The 24 V roller conveyor enables zero pressure accumulation transport of unit loads with the help of a controller. Each zone is powered by a RollerDrive that is connected to a fixed number of idlers via PolyVee belts. 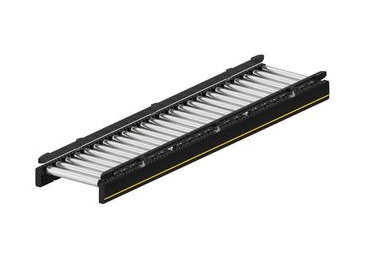 The 24 V roller conveyor curves change the direction of transport of the material. 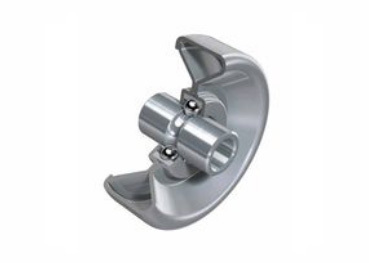 The conical rollers retain the alignment of the materials between side frames. 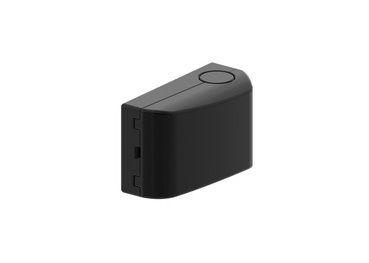 A controller enables zero pressure accumulation transport. 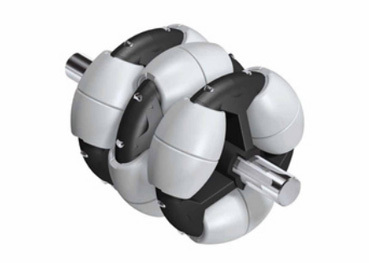 Each zone is powered by a 24 V RollerDrive that is connected to a fixed number of idlers via round belts. 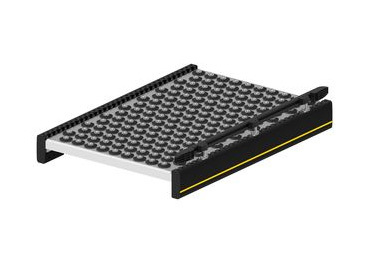 The merge merges two conveyor lines by placing products in the gaps in the material flow. 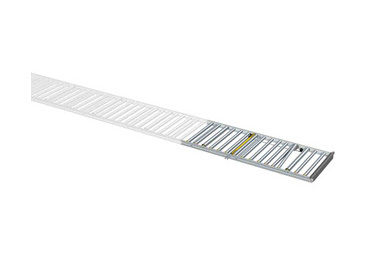 Alternatively, the merge diverts products from a straight conveyor, e.g., by using an HPD (High Performance Divert). 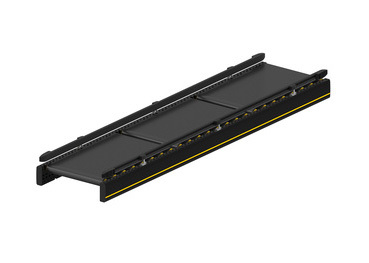 The 24 V alignment conveyor guides products diagonally to the transport direction to a side frame, and aligns them to the side guide if necessary. The side guide must be suitable for this purpose. 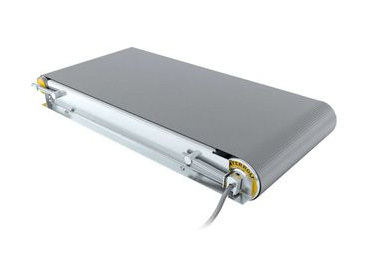 The roller conveyor powered by 400 V is available in 2 operating modes. 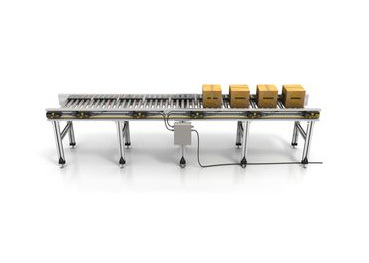 The permanently powered flat belt conveyor RM 8210 serves as a transport conveyor that requires only one 400 V drive for long distances up to 15 m.
With the use of electrical actuators, the conveyor can also be operated as zero pressure accumulation conveyor (RM 8212), either completely or partially. 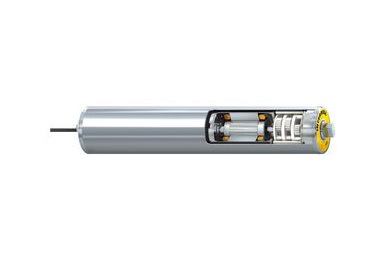 These actuators, which can also be retrofitted, are powered by 24 V drives and can be controlled by the Interroll controllers for zero pressure accumulation operation. 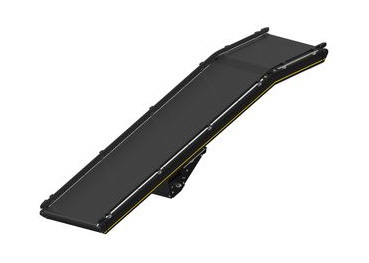 The roller conveyor curves change the direction of transport of the material. 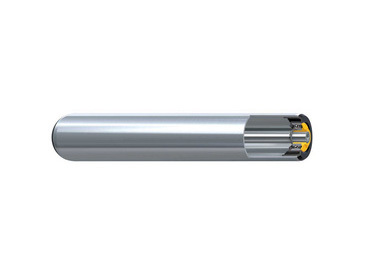 The alignment of the material is maintained within the side frames by tapered rollers. 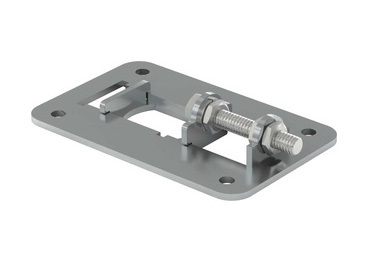 The flat belt-driven curve is driven either by an adjacent straight module or by a separate head drive. Accumulation mode is not possible in powered 400 V curves. 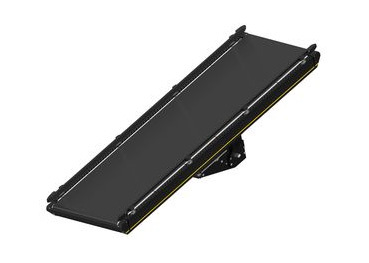 The alignment conveyor guides products diagonally to the transport direction to a side frame and aligns them to the side guide, if necessary. The side guide must be suitable for this purpose. This allows system designers to concentrate on more important tasks such as system integration, layout planning, controls, installation and commissioning. 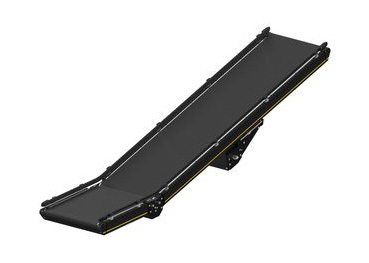 The belt conveyor is used for the transport of unit loads that are not suitable for roller tracks, and for all types of unit loads in case of inclines and declines.The standard belt conveyor is equipped with a drum motor (BM 8420), a gear motor is available as an option (BM 8410). Not suitable for reversing operation. 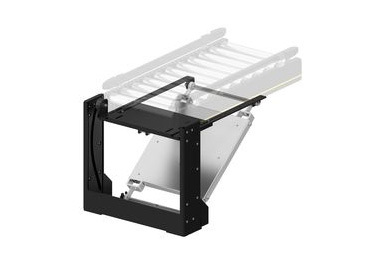 The belt conveyor is used for the transport of unit loads that are not suitable for roller tracks, and for all types of unit loads in case of inclines and declines.The standard belt conveyor is equipped with a drum motor (BM 8421), a gear motor is available as an option (BM 8411). Not suitable for reversing operation. 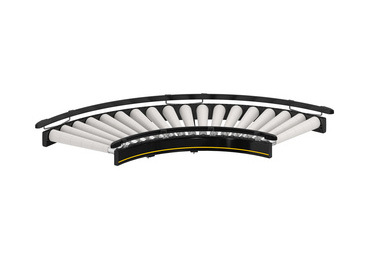 With a conveyor speed of more than 2 m/s, the Interroll Portec belt curve is designed for high performance and trouble-free operation in different applications. 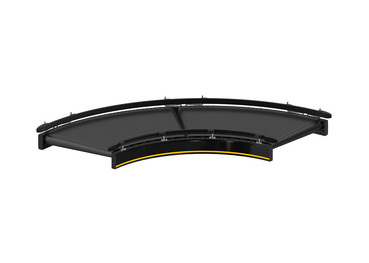 The curves are available in several widths, angles and weight classes. 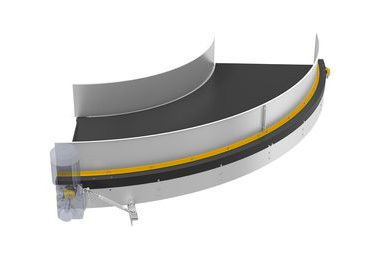 The Interroll Portec belt curves can be operated in higher and lower temperature ranges, which represents a significant advantage compared to common solutions, such as friction-driven conveyors. Another advantage is the fast belt change. 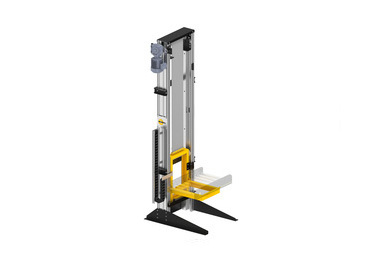 Thanks to the sophisticated construction, the drive station does not have to be removed for the belt change, thereby saving time. 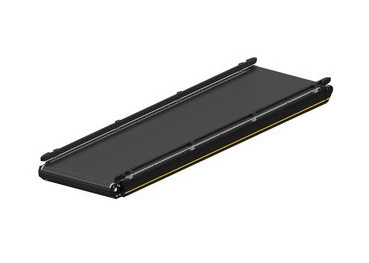 The belt merge is a belt conveyor with a 30° or 45° angled connecting edge. 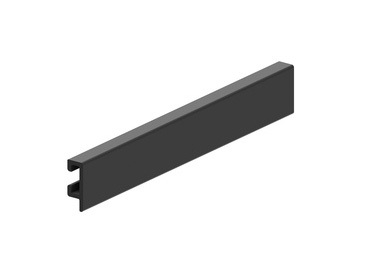 This conveyor element enables the merging of two conveyor lines at the corresponding angle. 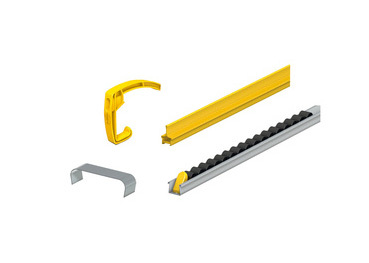 With the use of supplementary sorting elements, belt merges also enable the separation of conveyor flows. 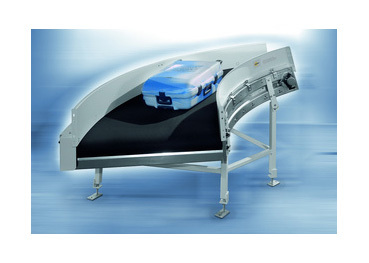 The conveying belts are available in widths of 90 mm and 40 mm for especially small materials. The belt merge has an especially low overall height at 120 mm. 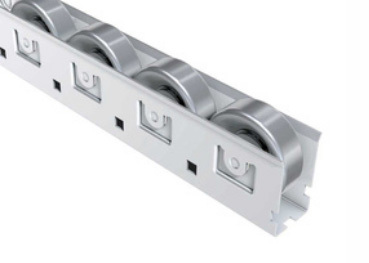 One HPD module can consist of several cassettes, each 120 mm long, depending on the size of the product. 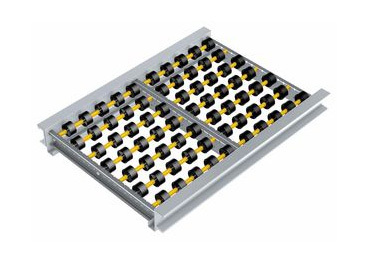 Side guides are used for reliably guiding the product on roller conveyors and belt conveyors, as well as on the corresponding components. 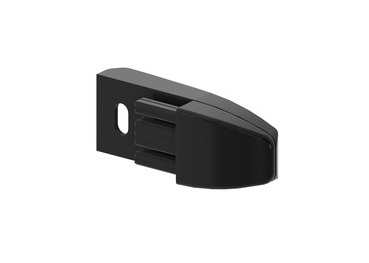 In particular, because of the flexible material (polymer), the guides can be adjusted to the material flow in curves, as well as when merging and diverting. 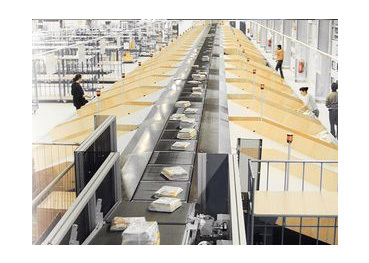 The main feature of Interroll's vertical crossbelt sorter with linear, straight routing ("above – below") is its distinctive space-saving design because of its compact, modular approach. 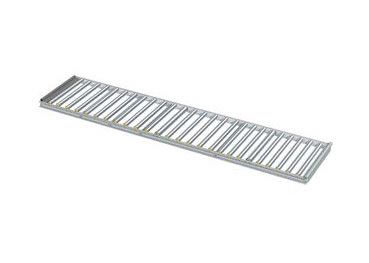 A minimum width of 1.7 m is already sufficient, e.g. 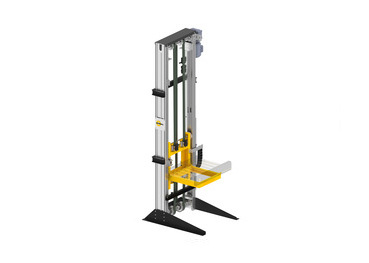 for a vertical sorter with a crossbelt carriage measuring 400 x 400 mm. 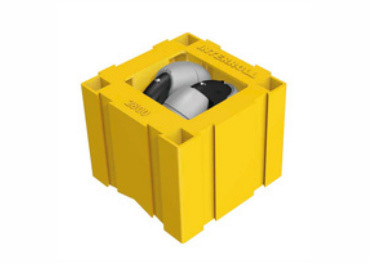 This configuration can also save valuable space, if full containers are transported into the sorter. This is unique on the market. 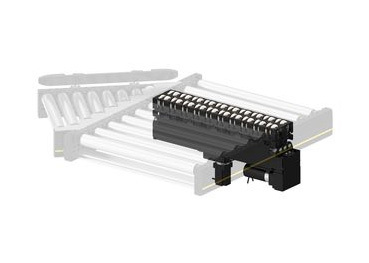 The infeed on the vertical sorter usually starts with an accumulating conveyor in front of the actual sorter - a simple conveyor belt. 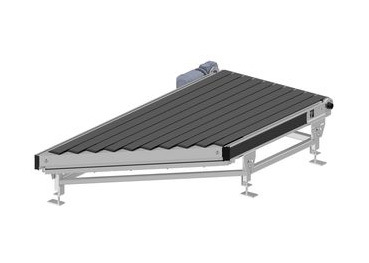 Operators are able to manually feed goods directly onto this accumulating conveyor - a cost-effective and ergonomic solution. 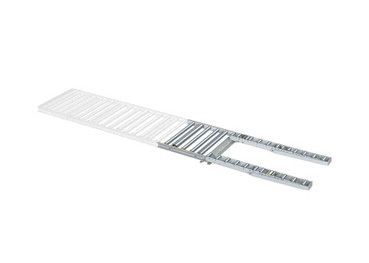 The accumulating conveyor can, of course, also be loaded via semi-automated or fully-automated infeeds. 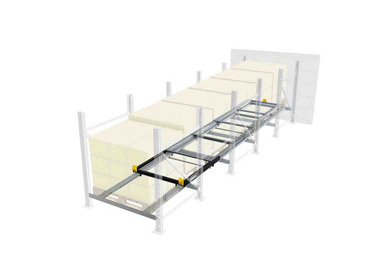 With the universal connector, the Interroll Carton Flow beds can be installed on most types of racking, regardless of the brand, even in tough conditions up to -30°C. With 4 different variants of unloading methods (from end stop to 5°, 15° and adjustable drop out-tray), the Carton Wheel Flow is the best way to increase your picking rate up to 150 picks per hour in a safe way. 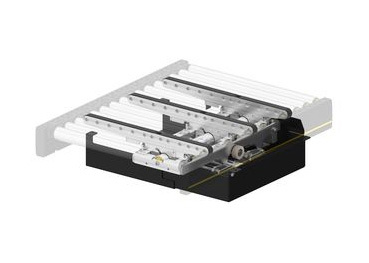 The rate can be increased up to 800 picks per hour when the Carton Wheel flow is combined with a pick-to-light system. In addition, many options are available to fulfill your specific needs. 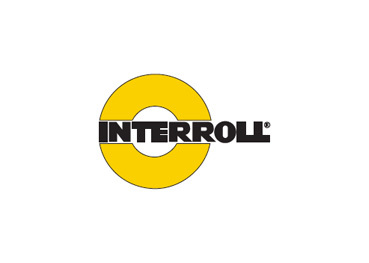 Interroll offers different types of guides, back-stop for automatic loading method, breaking and loading plates and more. Entry guide: Entry guides form the lanes. 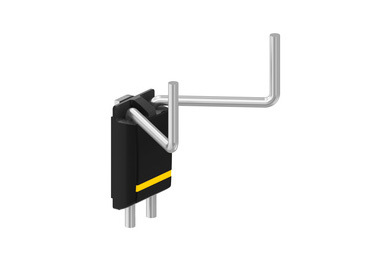 Full length guide: Full length guides maintain loads in the lane axis.